Belhaven College is proud to welcome Dr. Sandra L. Rasberry and Dr. Elizabeth B. Williford into the Legacy of Learning. They join the forty-two other faculty members who have devoted twenty years or more of teaching service to Belhaven. Both Dr. Rasberry and Dr. Williford have made life-changing contributions on this campus and have helped shape the lives of countless students. Dr. Sandra L. Rasberry has been an integral part of the development and growth of the Belhaven School of Education throughout her two decades of service at the College. She began in 1988 as an assistant professor of Elementary Education and quickly rose to chair of the department (1991-2002). During this time, Dr. Rasberry played a pivotal role in the development and implementation of Belhaven’s master degree programs. 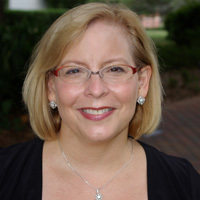 In 2002, Dr. Rasberry was named Dean of the School of Education. Under her guidance and leadership, the department and divisions continue to thrive. While she may not be “in the classroom” these days, Dr. Rasberry is always prepared with words of wisdom for students and those around her. 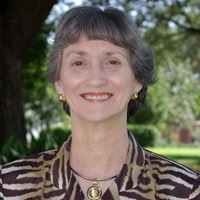 Dr. Elizabeth Bruce Williford arrived on campus as an undergraduate student in the fall of 1974 and graduated just three years later with a degree in Psychology. As is the case with most things in life, timing is everything. Throughout her two decades of teaching service at her alma mater, Dr. Williford has seen the number of majors grow from around five students to more than sixty. As department chair, she was instrumental in expanding to include coursework in social sciences. Under her leadership, the psychology department has turned out a large number of outstanding students who have become quite accomplished in their fields.